Detectives investigating an attack in Barnsley which left a man fighting for life are urging witnesses or anyone with information to come forward. 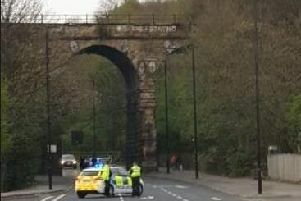 A 28-year-old man suffered serious head injuries and was in a critical condition last night after the ‘sustained and violent assault’ in the Oakwell area of the town. Emergency services were alerted to the attack at 6pm on Tuesday after members of the public found the seriously injured man in an alleyway off Coniston Road. Police officers cordoned off a large area as initial enquiries were carried out at the scene and searches were conducted. The police cordon has since been removed. Detective Inspector Mark Monteiro, leading the police probe, said: “We are working hard to ascertain the exact circumstances surrounding the incident, maximising forensic opportunities at the scene and obtaining any available CCTV footage. “We need to speak to anyone who was in the area, who either saw what happened or heard anything suspicious. Call South Yorkshire Police on 101 and quote incident 786 of October 16.